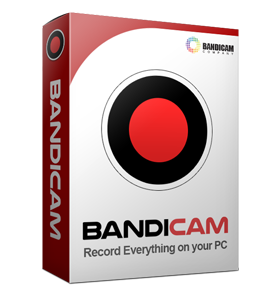 With Bandicam, the recorded video can be directly edited by Bandicut. Bandicut is an essential program for Bandicamers. It allows Bandicamers to cut parts of video without losing the original video quality. However, if you want to edit the recorded video with professional video editing programs such as Sony Vegas, Adobe Premiere, Camtasia and Pinnacle Studio, you should change the codec settings of Bandicam. To edit the recorded video with professional video editing programs, please choose the "Motion JPEG and PCM" codecs. If you want to get the original video quality, please try the "Lagarith lossless codec" instead of "Motion JPEG". 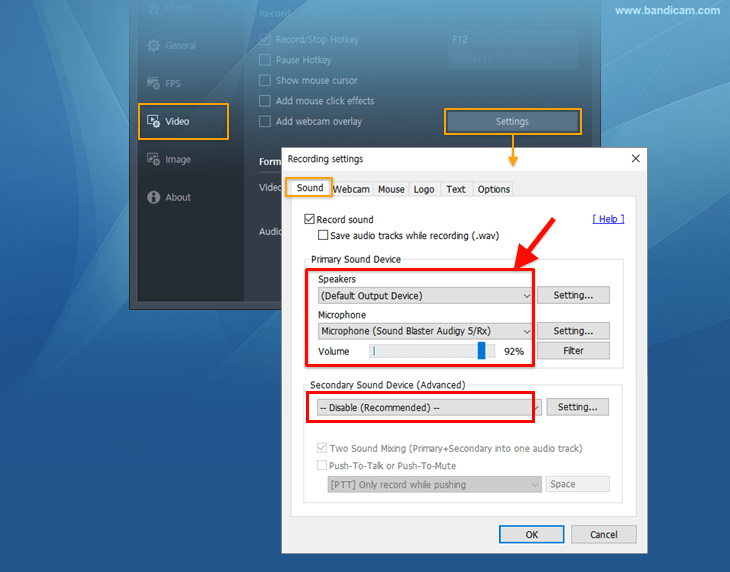 If you can't edit videos with the "Motion JPEG and PCM" codecs, please check the Two Sound Mixing option. 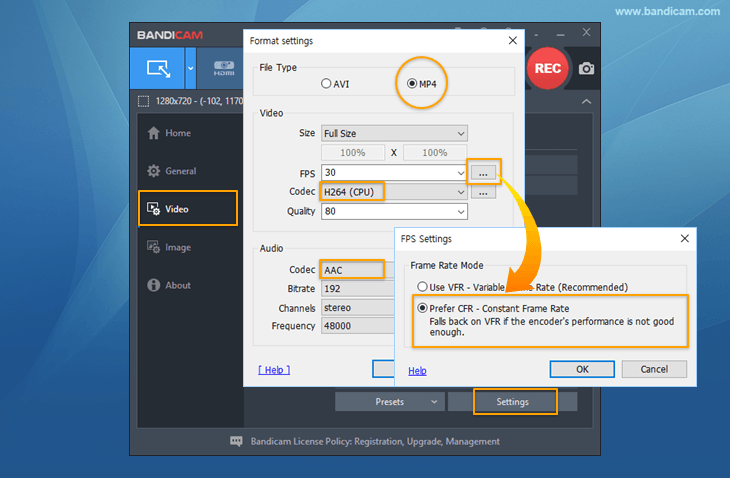 If you have an audio sync issue with the "Motion JPEG and PCM" codecs, reduce the video resolution of the recording target and reduce the video size, FPS and video quality of Bandicam. 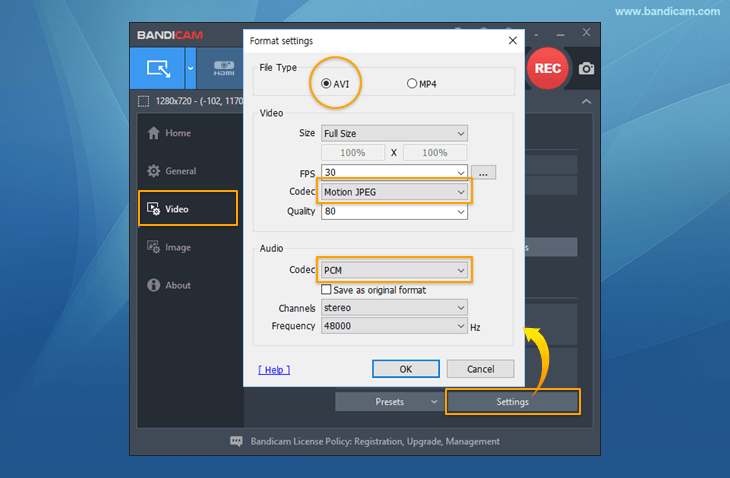 To edit the recorded video with professional video editing programs, please choose the "Prefer CFR" option on Bandicam. Even if you choose the "Prefer CFR" option, the video will automatically be saved as VFR if the encoder's performance is not good enough. To edit a VFR video, you have to convert the VFR video to CFR. 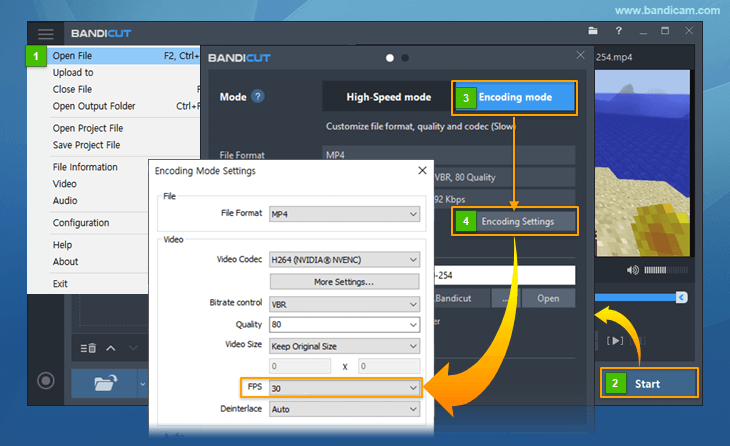 To convert VFR to CFR , download Bandicut -> Open a VFR video -> Click the "Encoding Settings" and then select the FPS value. If you select 30 FPS, you will get a 30-FPS CFR video.